The CCCB (Centre de Cultura Contemporània de Brcelona, an exhibition center located in the heart of Raval) is one of our favourit artistic centers of Barcelona. If we talk about cinema, Stanley Kubrick is one of the most acclaimed and known film directors of all time. 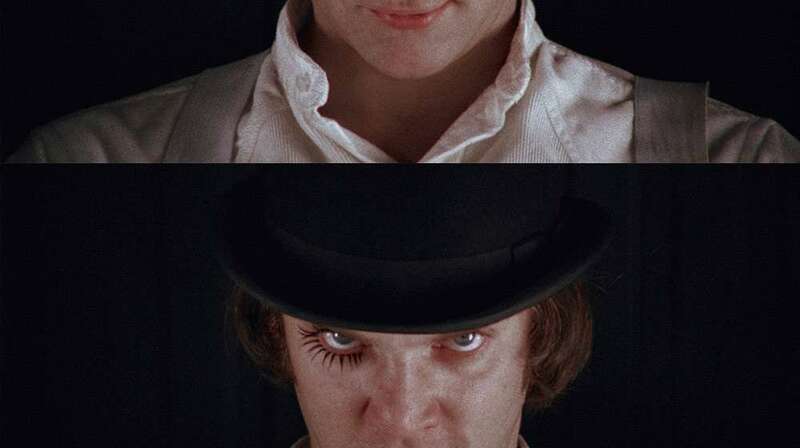 The CCCB offers (from October 23rd) an exhibition about the director of such huge films as 2001: A Space Oddysey, The Shining or Clockwork Orange. The exhibition presents the complete oeuvre of the director Stanley Kubrick (1928-1999). Large-screen projection brings significant scenes from Stanley Kubrick’s films to life. Documentary audio and video material illustrates the backgrounds of the film productions. Quotes from the director guide one through the rooms. The linking of films, original objects, production documents and explanatory texts enable the visitor to gain access to the multifaceted nature of the work. This is an spacious apartment Barcelona center, just 100 metres away from Plaça Catalunya and Las Ramblas. A large living room with sunny and quiet balcony towards the interior court, big and fully equipped kitchen with oven, microwave and any cooking amenities needed to cook an special meal before or after explorint the city. The sleeping facilities consist of two double bedroom, one with double bed and another one with twin beds, large bathroom with shower and additional toilet. Located on the second floor of a modernist building with elevator, wifi and internet in the apartment. 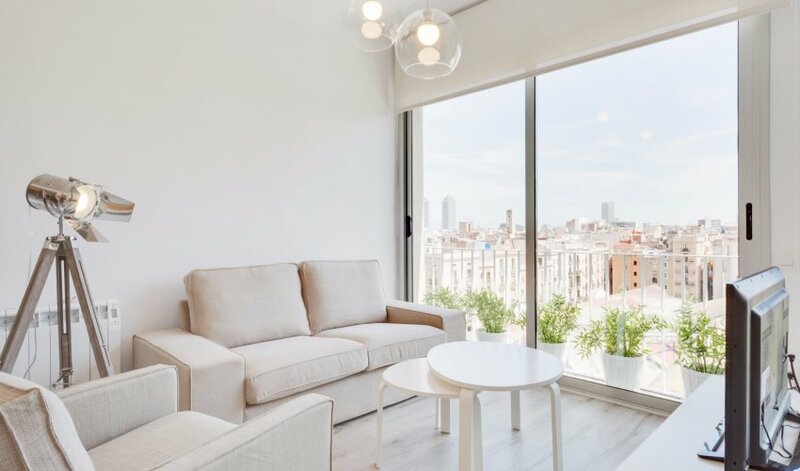 This bright and spacious apartment is perfect if you are looking for a place to relax in the heart of Barcelona. It disposes of two double bedrooms and is situated right next to Plaza Catalunya and Las Ramblas. Spacious living room with comfortable sofa and sunny balcony. Complete bathroom with bathtub and separated toilet, as well as a fully equipped kitchen to prepare all your homemade meals. Its high ceilings with vaulted brick veneer and the decoration in soft tones bring a quiet and spacious atmosphere, making this apartment the perfect starting point to visit the city. Barcelona holiday apartments for you. 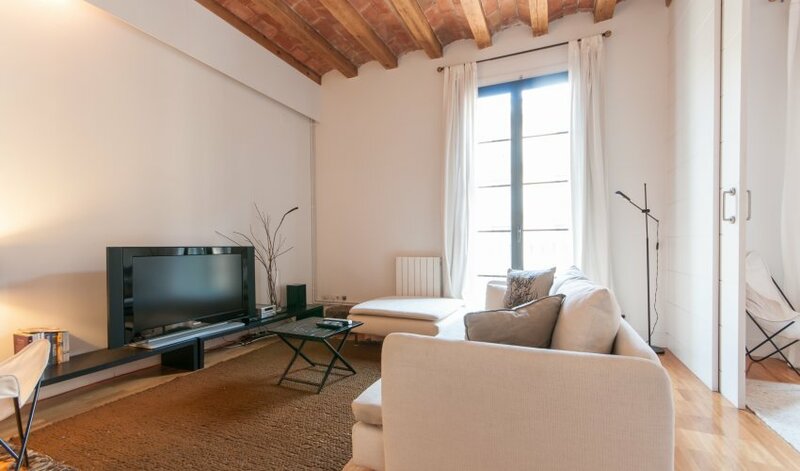 Quiet and modern apartment in the Gothic Quarternewly renovated, impressive living room with open kitchen and views of the Santa Caterina Market and Barcelona Cathedral. Sunny, bright and comfortable well-equipped with TV in each room for more comfort. The spacious apartment has three bedrooms each of them with twin beds, two full bathroom with shower, air conditioning in the living room and modern and amazing equipped kitchen. In the heart of the city, opposite to the beautiful Santa Caterina market and one minute from Barcelona Cathedral, location cannot be better. Just at 10 minutes walking from the beach and 5 minutes from the Ramblas of Barcelona. From Weflating we want you to feel like home while you are living in our city. For this reason, we are creating this selection of places and things we love from Barcelona and that we want to share with you. Here you will find secrets, tips, routes, the best food and leisure near your apartment and all over the city. Enjoy it!